On any seminar, the educator's rapport with the group is a key ingredient for success. Melton Travel Seminar educators are among the finest in the Jewish world and will help make sites and texts come alive and relevant to your ongoing dialogue with the with the past and future of Israel and the Jewish story. Haim serves as the Director of Travel Seminars of the Florence Melton School for Adult Jewish Learning. Since 1989, he has worked with the Melton Centre for Jewish Education at The Hebrew University of Jerusalem with in-service training programs for teachers, and he directed the Melitz Israel Experience Staff Training Institute for nine years. For over 40 years, he has enjoyed learning and teaching about Israel and its manifold narratives, and about various European Jewish communities. His studies at Hebrew University have led to an MA in Contemporary Jewry and Jewish Education, as well as a Teacher’s Diploma. Haim makes his home in Jerusalem, along with his wife, Sandy. Their three kids and two grandchildren are dispersed around the country. Born in South Africa and living in Israel since 1995, Jonty has managed to touch thousands of Jews of all ages, whether accompanying groups as an educator or lecturing on specific subjects. 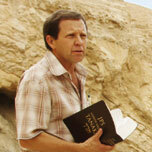 Jonty has served as an educator on the Israel Seminar staff of the Florence Melton School since 2005. He and his family spent two years in Sydney, NSW, where Jonty worked at Moriah College, serving as the Director of Experiential Jewish Education. Jonty has also lectured in various countries, including Australia, England, South Africa, Canada and the United States. "I think my love for what I do is infectious," he says. Jonty studied for a number of years at Yeshivat Har Etzion and received his Master's Degree in Jewish Education from Hebrew University's Melton Centre for Jewish Education. The wisest decision Jonty ever made was to marry Abi Ofstein. They live in Jerusalem with their four children. Judy has a BA in History from Vanderbilt University and a Masters of Science in Education from Northwestern University. She worked as a Religious School teacher for 11 years in both Baltimore and Chicago, and taught in Jewish Day Schools for 3 years, before "graduating" to become a star Melton teacher in Chicago. Judy served for five years as an educational consultant and Israel Resource Specialist for the Marshall Jewish Learning Center in Northbrook, Illinois, running workshops for both teachers and students. In Israel, Judy wanted to continue impacting on her students, and has joined the ranks of outstanding guides here, with the added advantage of specializing in the "Melton technique" of on-site text study. Judy, Phil, and their family have lived in Israel since 2005. A Brooklyn native, Avi Ben-Hur moved to Israel in 1983. From 2003-2008 Avi was Director of the Archaeological Seminars School for Israeli Tour Guides. In 2008 Avi participated in re-writing the curriculum of the National Guiding courses for the Israel Ministry of Tourism. As a "Scholar in Residence", Avi has lectured, taught and facilitated workshops in Pittsburgh, New Jersey, New York, Warsaw, Prague, Berlin and Greece. From 1996-2000, Avi taught in the International School for Holocaust Studies – Yad Vashem. As a guide, Avi has specialized working with organizations focusing on political issues, inter-faith programs, and Holocaust studies. At present, Avi is on the faculty of the University of Haifa Tourism School, is an examiner for the Israeli Ministry of Tourism, and is the scholar in residence of Classrooms Without Borders. Avi co-led the 2016 "Within Borders" Kallah and has been instrumental in developing and leading the Melton Travel Seminars to Prague and Berlin and to Greece. A wonderful learning experience at every level - touching the mind and the heart.